Both sexes fully winged. Body and legs uniformly brown; antennal segment III yellow, segment IV variably brown, or yellow in basal quarter to half, or entirely yellow; fore wing posterior half dark from near apex to near (but not including) clavus, with two transverse dark bands. Head with no long setae; pronotal posteromarginal setae not stouter than pronotal discal setae. Fore tarsus apically with stout recurved ventral hamus. Antennae 9-segmented, segment III slender with sensorium about 0.3 as long as segment, IV with sensorium about 0.4 as long as segment and slightly curved at apex, V–IX forming a single unit with V longer than VI–IX. Metanotum weakly reticulate. 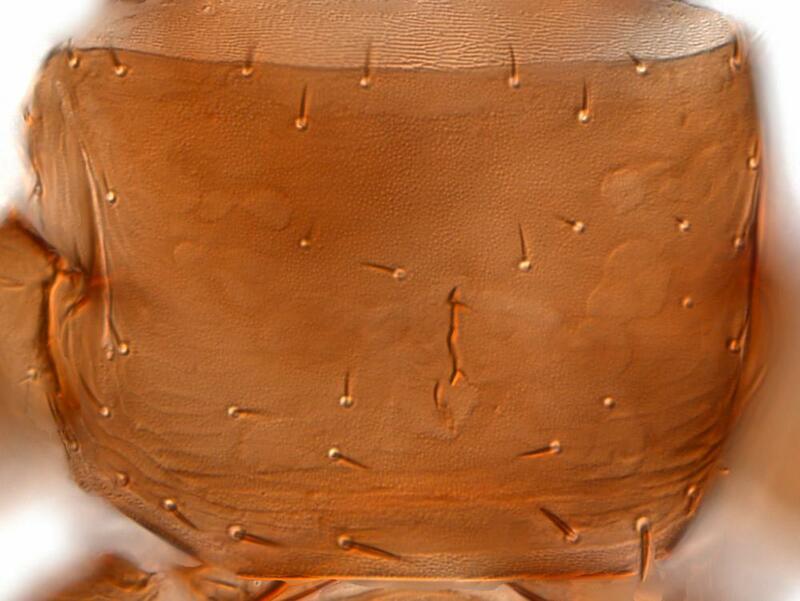 Marginal setae on sternites arising at margin; sternite VII supernumerary paired setae arising in front of margin. 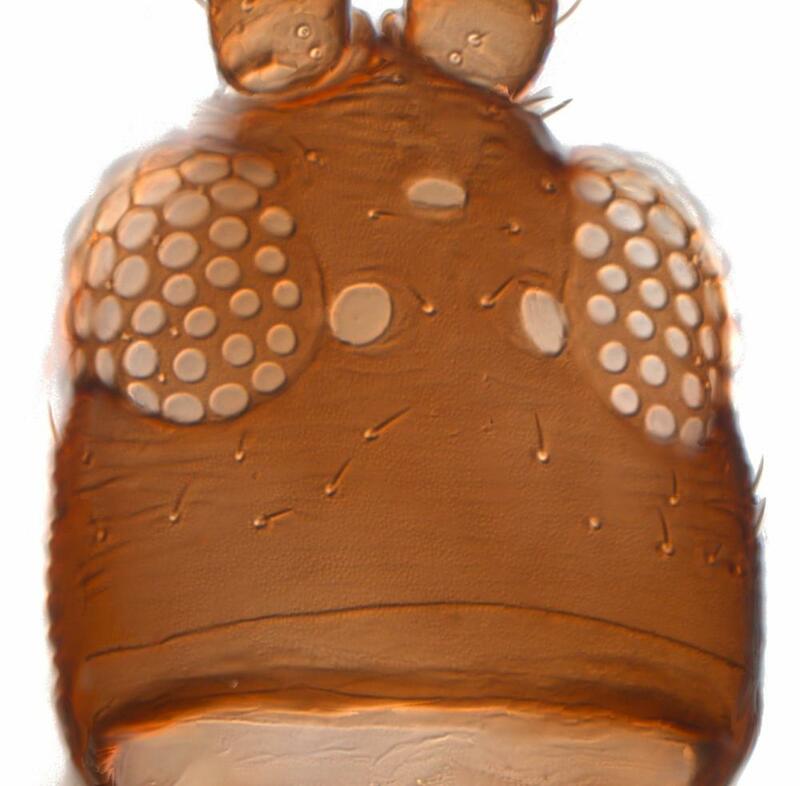 Male with paired tubercles on tergites IV–V; tergite IX with clasper non-bifurcate. A. melaleucus is an holarctic member of the species-group in which the posterior half of the fore wing is dark, but unlike the North American species there are two transverse dark bands. 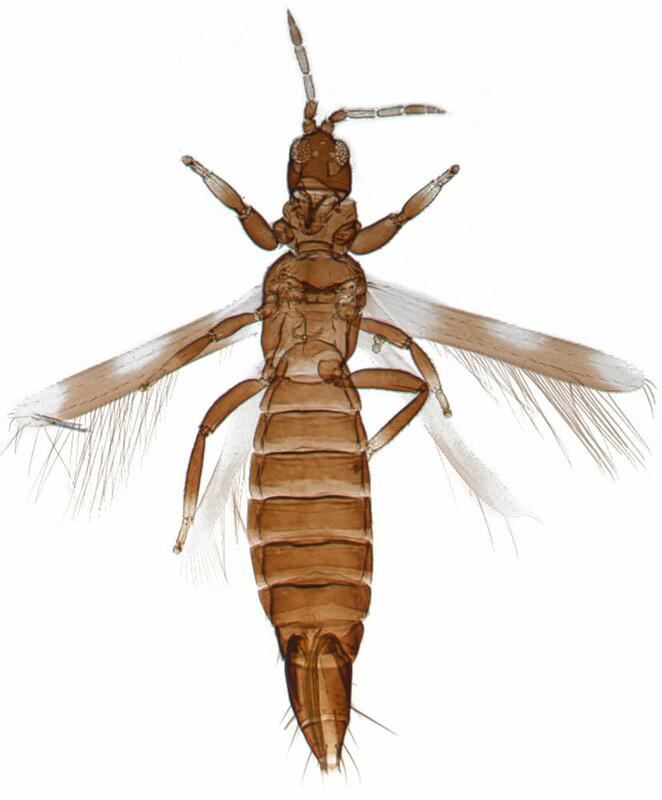 Just over 90 species are placed currently in the genus Aeolothrips, of which more than 50 are from the Palaearctic Region (mainly Europe), and 28 from the Nearctic (mainly western USA). Only two species are recorded from the Neotropics; the one from Chile is probably the same as A. fasciatus, and one from Panama is probably not a member of this genus (Mound & Marullo, 1996). Apparently predatory on mites on the leaves of forest trees. Taken commonly in Europe on the leaves of Quercus (Fagaceae) and Fraxinus (Oleaceae), but also in flowers. Widespread across the northern hemisphere, including Europe, Canada, and northern USA into Montana, Washington, and Oregon, but not common in California.